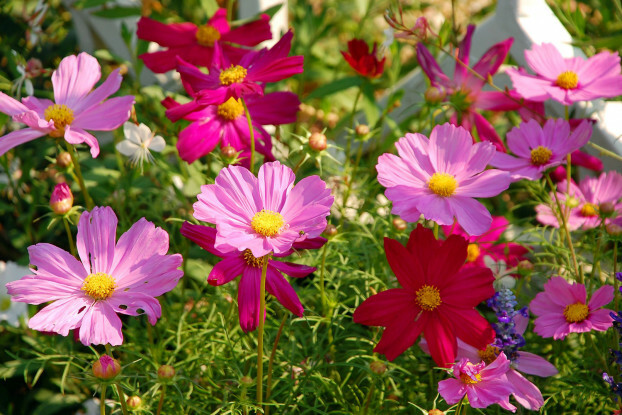 Garden cosmos are an annual species that requires little water and full sun. Its showy pink symmetrical flowers cover the tall stalks of this species from summer to fall. It grows well on infertile, sandy soils, but is adaptable and tends to establish easily and grow quickly on most sites. It is recommended for roadsides, exposed slopes, fence lines, hedge rows, or background areas. It is an introduced species originating from Mexico.